God's wonderful gift to the world...Jesus". Wearing rosary jewelry including Catholic rosary bracelets and rosary necklaces is not only an attractive fashion, it also tells people how deep a love you have for Jesus and Mary. Besides rosary necklaces and bracelets a rosary pray ring and other rosary rings are popular. A Rosary as jewelry serves two purposes. It is both a beautiful piece of jewelry and a sacramental. Through the use of rosary-jewelry as a sacramental, God will bless you in both the spiritual and physical realm. These blessings are obtained through the devotion sacramentals inspire and through the prayers and blessings attached to the jewelry and the prayers offered for you the wearer. But remember you must have the jewelry blessed by a priest after you have purchased it for it to function as a sacramental. I encourage you to make use of rosary-jewelry as a sacramental. There are many benefits in store for you if you do. You will receive grace, your venial sins will be forgiven, and punishment owed for sin will be remitted. Not only does the use of sacramentals give you health and material blessings they even protect you from evil spirits. But remember to use sacramentals with great faith and devotion. Never make them objects of superstition. You are following his advice by wearing rosary-jewelry. 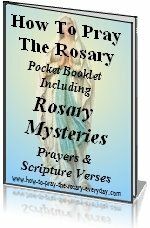 Anytime, anywhere, you can calm your anxiety and worries and attain peace by praying your Rosary that happens to be decorating your wrist, neck or ring finger. Wearing rosaries is convenient. If you are busy working and have a rosary ring or bracelet, you can discreetly and conveniently pray the Rosary and keep track of your prayers on your ring rather than on a larger rosary chain that could be cumbersome in some situations. Wearing rosary jewelry spreads the Rosary devotion. 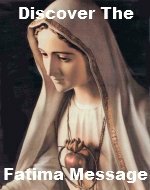 When you spread devotion to the Rosary, Mary promised in the 12th promise that she will ask Jesus to send you many graces. When you realize how powerful the Rosary is and how much peace you have found through it, you will be telling all your loved ones about it. One way to do this is by wearing rosary-jewelry including a rosary bracelet or rosary necklace. People will notice and comment on your rosary-jewelry and you have the perfect opening to tell them how much peace the Rosary has brought to your life. So if you are looking for bracelet jewelry religious rosary items, 14k gold rosary necklaces, or the always popular rosary rings, you can definitely find them here. High quality rosary jewelry available is also available on eBay. 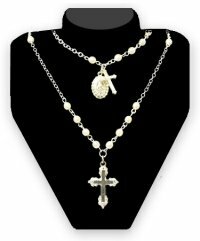 I am sure you will find the rosary jewelry that is right for you.